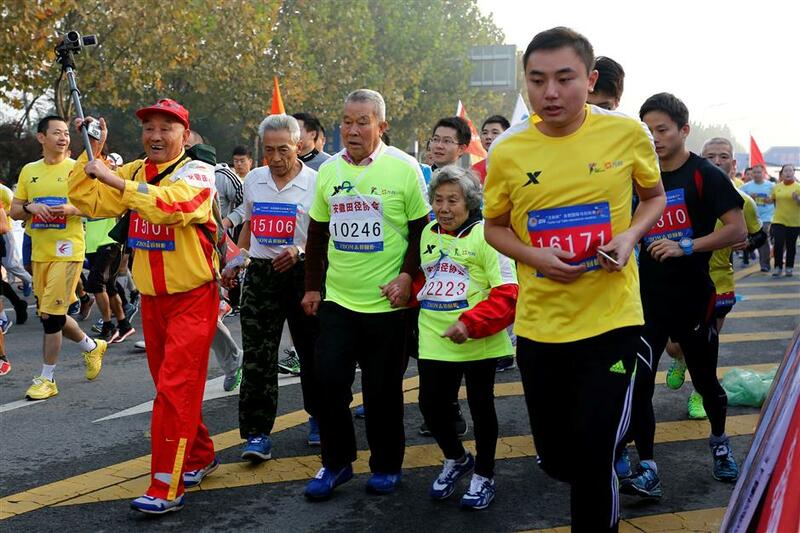 In this file photo Zhang Liangyou and his wife Shang Diane (center) run in the Heifei International Marathon in Heifei, Anhui Province, on November 16, 2014. "I ran 30km at first, then 40km, and finally could run up to 50km," said Zhang, adding that he trained for two years. After testing his marathon time in 1957, Zhang reckoned that his finishing time could match that of the elite runners. "I was thrilled, and wrote to the sports bureau to ask to hold a marathon," said Zhang. 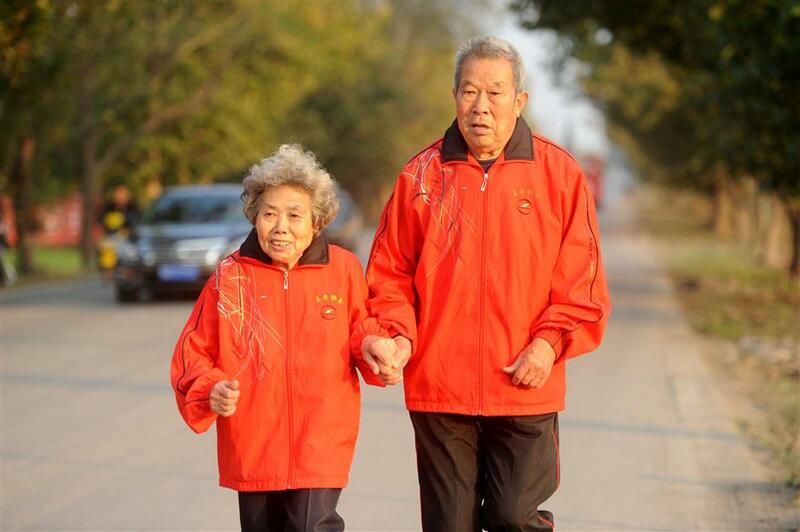 Zhang Liangyou and his wife Shang Diane run hand in hand in Huainan, Anhui Province, on December 6, 2014. "Perfect running course, amazing audience and the fresh smell of Spring. See you next year," Zhu Xiaoyang, a Hangzhou-based judge, wrote on Wechat after finishing a half-marathon in Hangzhou. In 2011, China only hosted 22 marathons, but the number of marathons and road running races reached 328 in 2016, a 150% increase over 2015, according to Chinese Athletics Association. The CAA said in January that China's marathon industry rose 20 percent from 2016 and reached 70 billion yuan (US$10.96 billion) in 2017.